ACC’s Philosophy Department provides students with critical thinking skills that have a broad range of applications in professional, social, and personal life. The department serves nearly 6,000 students a year from San Gabriel to Fredericksburg to San Marcos to Elgin. Philosophy courses cover a diverse group of questions and topics, spanning from classic investigations into the nature of reality, truth, and morality, to contemporary inquiries into freedom, identity, and justice. 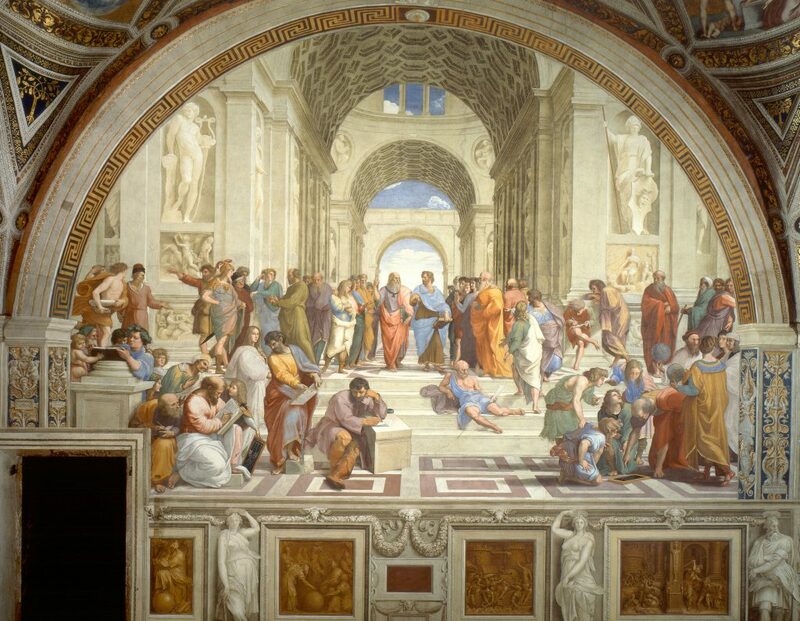 Philosophy courses place significant emphasis on the justification for holding one particular view or position over another. The department’s entry level classes provide students with a foundation for more advanced courses, whether in Philosophy or other disciplines. PHIL 1301 introduces the basics of argument and the central areas of philosophy: metaphysics, epistemology, and ethics. PHIL 2306 covers the three main branches of ethics: metaethics, normative ethics, and applied ethics. The Philosophy department has also developed several sections of our Introduction and Ethics courses with unique focuses on social justice, business, sexuality, or art for students specializing in those areas or with those particular interests. ACC is one of the few community colleges in the nation to offer an Associate’s degree in Philosophy. Our students frequently transfer regionally to Texas State, the University of Texas, St. Edward’s University, Southwestern University, as well as to many other quality institutions across the United States. They proceed to graduate programs in Philosophy and successful careers in both the public and private sector. Students who study philosophy with this department will develop as persons while learning from our passionate and engaged professors. Faculty use numerous teaching methods and technologies in addition to traditional lectures, including online courses, classroom group work, supplemental instruction, open educational resources, and public service. The Philosophy Department also hosts a variety of events for students and faculty, including the Austin Philosophy Forum lecture series and the ACC Philosophy Club. These events are often developed in collaboration with faculty from other departments, especially the Humanities department, expanding the range of issues we explore, enhancing their public appeal, and helping to build interdisciplinary relationships. Overall, the Philosophy program teaches students to analyze ideas, assess the truth of claims, evaluate the validity of inferences, to articulate their own views, and support their assertions. Several decades ago the Philosophy program started Philosophy Forum at ACC, providing students and the broader community regular events featuring speakers, panels, and films related to our course of study. Several years ago, this evolved into the Philosophy, Religion, and Humanities, continuing that tradition while expanding the content to embrace the other two disciplines in our department. For information on the Philosophy Degree Plan, visit the ACC Academic and Career Program’s page for Philosophy.